The first (non-sample) object I printed on my newly-acquired 3d printer after Christmas was NASA’s “Made in Space” 3d printable wrench. While this was not the first object 3d printed in space, it was the first designed expressly to meet the needs of an astronaut. After several attempts of varying success to print a fully functional copy of the wrench, this was my final result–success! Earlier prints suffered from the inner-workings of the wrench being fused and, thus, non-functional. 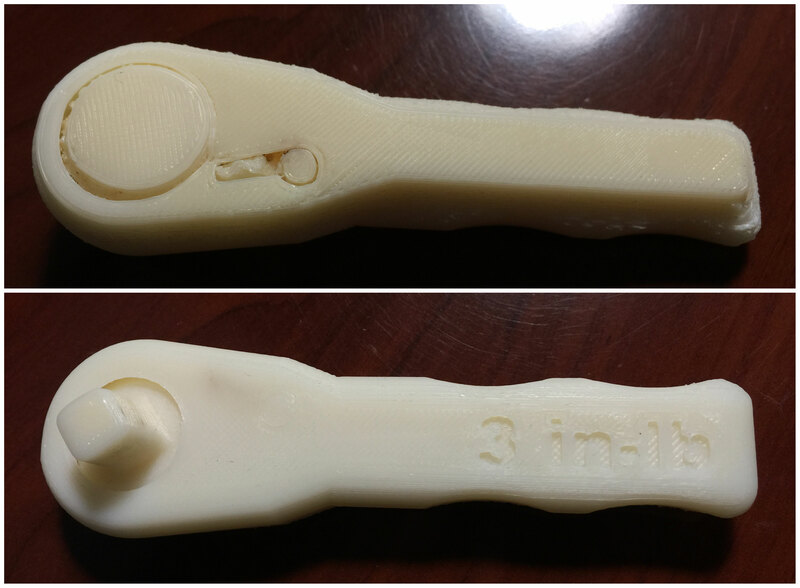 Want to print the wrench yourself? Here you go!